It would be lovely to see as many Permanent Style readers as can make this, our US book launch. The event will be at The Armoury, 168 Duane Street, 6pm-8pm on April 20th. 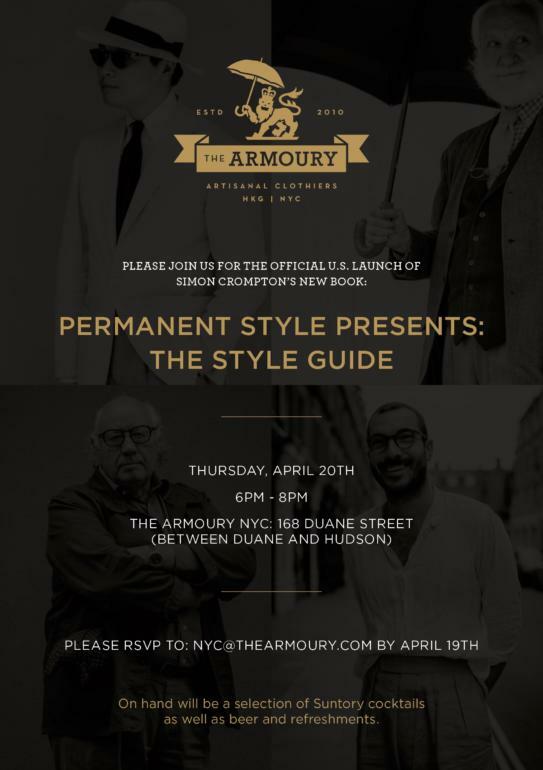 Please RSVP to NYC@TheArmoury.com if you'd like to come. I don't get over to New York anywhere near as often as I'd like, so I'm looking forward to seeing everyone. You can follow the discussion on US book launch – at The Armoury, New York by entering your email address in the box below. You will then receive an email every time a new comment is added. These will also contain a link to a page where you can stop the alerts, and remove all of your related data from the site.